Rutherford Cancer Centres is proud to be sponsoring and exhibiting at this event, and has teamed up with partners, IBA and Phillips, to deliver a selection of unmissable masterclasses. The European Oncology Convention brings together world leading clinicians and researchers working in the field of oncology. This key event runs over two days at the NEC in Birmingham and offers an unrivalled line-up of 100 CPD accredited seminars, interactive workshops and state-of-the-art showcases from exclusively selected exhibitors, this event promises to show the revolutionary ways of studying and treating cancer. Rutherford Cancer Centres is proud to be sponsoring and exhibiting at this event, and had teamed up with partners, IBA and Phillips, to deliver a selection of unmissable masterclasses. 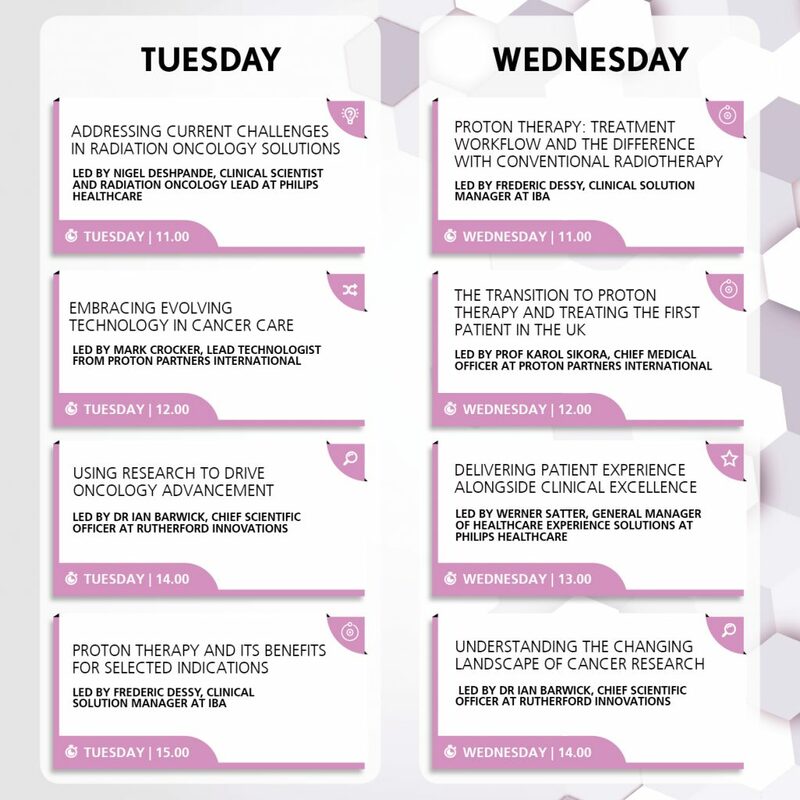 These sessions cover a range of topics that coincide with one specific focus; advancing cancer care and delivering excellent patient pathways.